Each person’s heart begins to change. Kérane opens up little by little and feels more at ease. During the summer holidays the two families now meet up every week and at the weekend. Round the table, they all speak with joy and passion, like pirates on the lookout for treasure. Questions find answers in the Bible, a well that they draw from as from an inexhaustible source of hope. The personal stories of the different individuals are like the description of lands that they are about to conquer. Alex, such an introvert, has clearly come right out of his usual shell and even he shares in the general enthusiasm. And if, at 3 o’clock in the morning, good sense urges them to go to bed, quite oblivious to it and completely overjoyed, they promise pretty quickly to put off that idea! She closes her eyes and, right away, she is plunged into a dream that lasts all night in which she sees herself moving house and sorting out the books in her bookcase. With one accord, the Bertys decide to do the cleaning. They throw out the feng shui mirrors, the mirror balls with facets that are meant to provide light, the statuettes of Ganesh and the different Tarot games. From now on, they have no need of these lucky charms and protections, as they have all of that and more ... in Jesus alone! The bookcase in the living-room is also emptied of all its dodgy books. 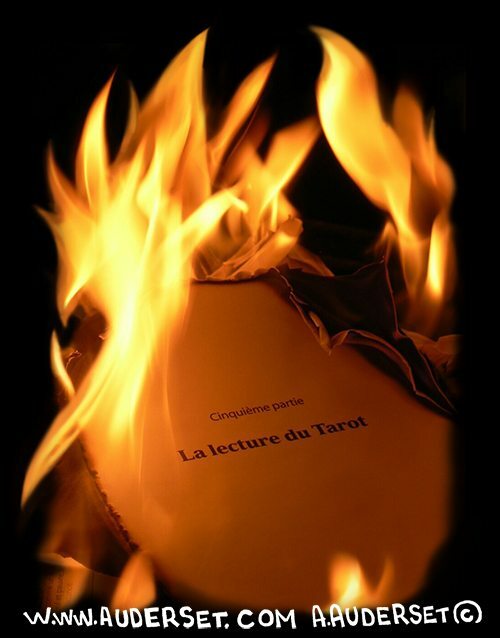 A bonfire is arranged in their garden on which they burn over 1000 euros’ (1100 USD) worth of esoteric books! The nightmares are becoming rarer, to the point of disappearing! Véro has even visited in her dreams a wonderful garden (Paradise? the Garden of Eden?)... she walks there in incredible peace in the company of Jesus who invites her to let go, only to end up in her bed again, bathed in perfect peace and rest! This time she is the one who wakes up Alex to tell him! Eva’s imaginary visitors and their macabre din have chosen to flee this power that is greater than them and is now watching over the Bertys. There are no doubt still more challenges inherent in each of their lives, but they will no longer have to face them on their own! In short, this is what can happen when we don’t keep a hope like this just for ourselves! * * by ‘baptise’ don’t understand: to adhere to a new religion (that was never in question)... it’s just a tangible sign shown in the Bible used to confirm someone’s commitment to Jesus. part 1   part 2   part 3"
string(58) "The Berty* family’s incredible date (Part 4, final part)"
string(241) "[:fr]L'incroyable rdv de la famille Roité*p4 (fin)[:de]Das unglaubliche Treffen der Familie Bling* Teil 4/4 (letzter Teil)[:en]The Berty* family’s incredible date (Part 4, final part)[:es]La increíble cita de la familia Tada*parte 4/4[:]"
Sandra is someone who is basically humble and honest, willing to admit that she doesn’t have all the answers, sometimes even questioning whether she is a real Christian. But she answers her friend’s questions as good as she can. When Sandra turns up with the ‘Bible express’ (extracts from the Bible), it’s bliss! Both of them find answers to their questions. Nicolas, Sandra’s husband, is then called to the rescue. So, an evening meal is arranged between the two families. For the occasion, Alex is given the comic book ‘Marcel’ (by the same author as ‘Date in the forest’) and he really loves it! It should be noted that the only books he ever reads are comic books... except that he is going to make an exception for this weird book that everyone around him is talking about (phew, it’s full of pictures!). Now the whole Berty family wants to know more and it’s at their insistence that the Purmalt* family initiates them into the exploration of an evangelical bookshop. 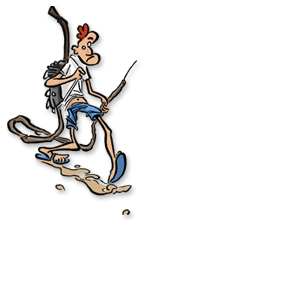 It is Ali Baba’s cave: they blow their literary budget and complete their collection of Auderset comic books (which makes me a kind of ‘Alainbaba’!)... Even Kérane puts in some of her own money! Seized with googlesque desire, Alex, in two clicks, comes across the author’s testimony of his conversion. Intrigued, the couple sit down together to listen to it with rapt attention. The little guy explains his life in a simple, modest way. Here it’s no longer a matter of levels of initialisation or of mystical terms and other complications. Entering into a personal relationship with the divine is within a child’s reach. The sacrifice of Jesus on the cross finally takes on its full meaning: it was for everyone’s sins, it is for ... her! Each member of the family now reads their Bible assiduously (each his own one!). Little Eva even refuses to go to sleep unless her dad reads her a story from it. It touches him that he is discovering them at the same time as she is. 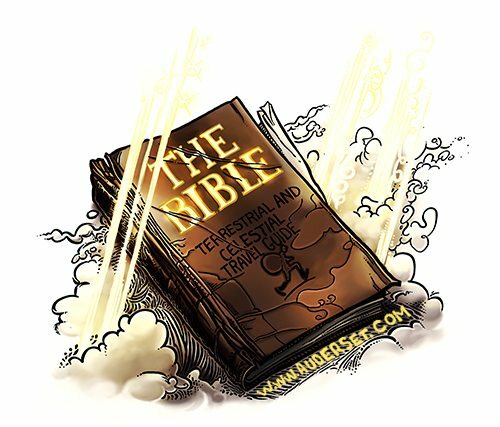 The children’s Bible that she has been given has become THE favourite book of the little 6-year-old. She hugs it tightly against her. The place where she keeps this treasure is under her pillow, right next to where she sleeps. It’s no small matter: this book is the word of Jesus who is at work, radically transforming her whole family. What is happening here is something completely out of the ordinary and totally crazy ... but absolutely real! She still doesn’t know the sweetness of this voice: it is the voice of Jesus, who is entering the game again! It is so soothing that, for once, she manages to go back to sleep! part 1   part 2   part 4"
string(46) "The Berty* family’s incredible date Part 3/4"
string(211) "[:fr]L'incroyable rdv de la famille Roité p 3/4[:de]Das unglaubliche Treffen der Familie Bling* - Teil 3/4[:en]The Berty* family’s incredible date Part 3/4[:es]La increíble cita de la familia Tada*parte 3[:]"
Most of the videos buzzing on internet contain jokes or curses. Much creativity is needed to make a video with a message that is seen by millions of people. Alain Auderset did it. string(128) "[:fr]Auderset sur la chaine nationale d'Espagne[:de]Ein Wahnsinn in Komiks[:en]Madness in cartoon[:es]Una locura en el cómic[:]"